What a ride it’s been for the Egyptian masterminds by the name of Aly & Fila. Ever since their first international signing back in 2002, the multi-talented duo continue to surprise fans and foes alike with their seemingly limitless amount of talent and ability to produce world class tunes. Now, years later, we can agree that Aly & Fila are one of the most respected and appreciated trance acts in the world, even though their music doesn’t limit itself to just one genre. Following their recent Chill Out album which saw themselves reworking their own classics into a more chilled, downtempo style, the Cairo based combo are back doing what they do best, impressing trance fans around the world with their brand of uplifting music. 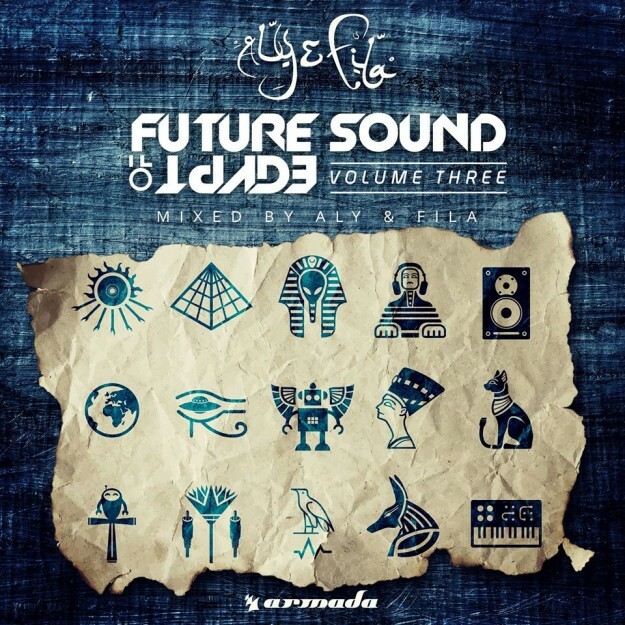 Now releasing the third instalment of their legendary ‘Future Sound Of Egypt’ series, Aly & Fila demonstrate to a global audience yet again that they are a force to be reckoned with. Featuring an array of exceptional tunes by artists including the likes of Paul van Dyk, Bobina, Giuseppe Ottaviani, John O’Callaghan, Standerwick, Photographer and many more as well as Aly & Fila themselves, ‘Future Sound of Egypt Vol. 3’ is a delight for all that love the powerful, energetic and melodic trance that FSOE represents, and simply put, with the masters themselves handpicking all the tunes, you just can’t go wrong! For an exploration into the the most beautiful and powerful depths of progressive trance, few producers are as adept as Tomac in achieving the right feeling. Lush chords and an effortless melody will carry you straight into the heart of ‘Daria’. So for those who had a really great moment that night, you can relive this moment like if you were there again!! Enjoy the 3hrs journey! And see you next month, on october 11th for another massive night @ Circus Afterhours where I’ll be playing with Will Atkinson!